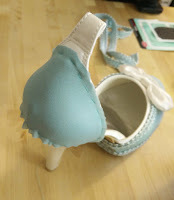 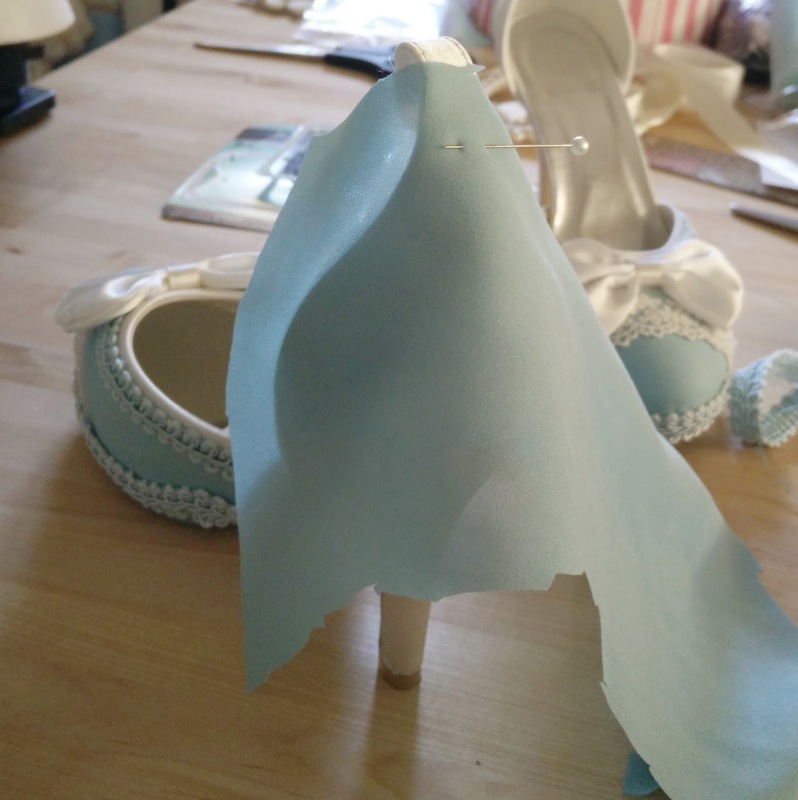 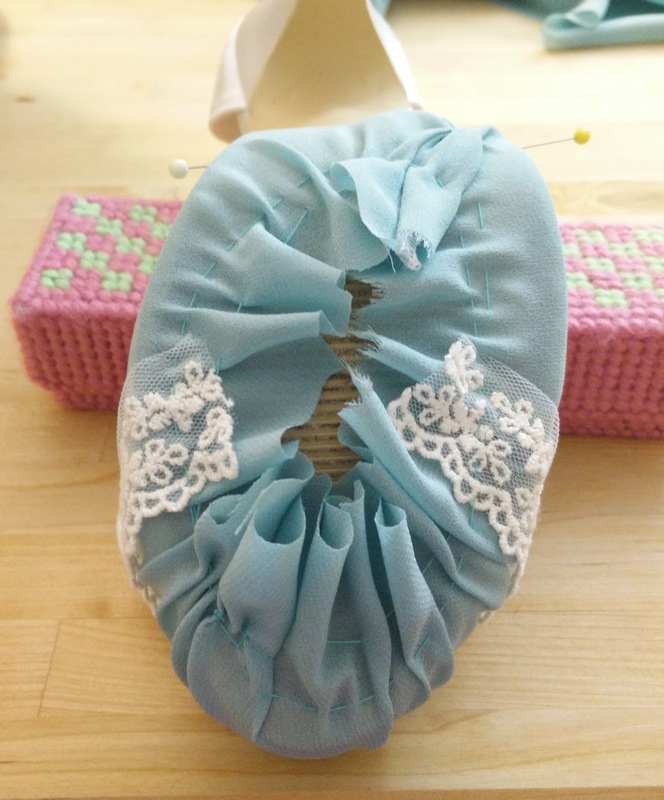 This is a walk through of how I covered a pair of heels to match the fabric I used in my hat and the fabric color of La Robe Vert Clair. 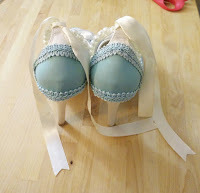 It involves a lot of hand-sewing, but I think it's definitely worth it! 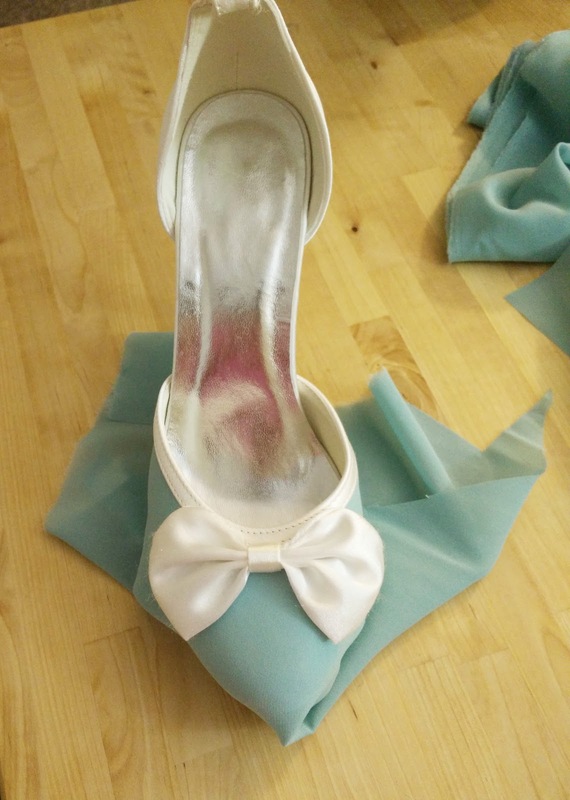 You can always remove the fabric later as well as opposed to if you had glued the fabric on. 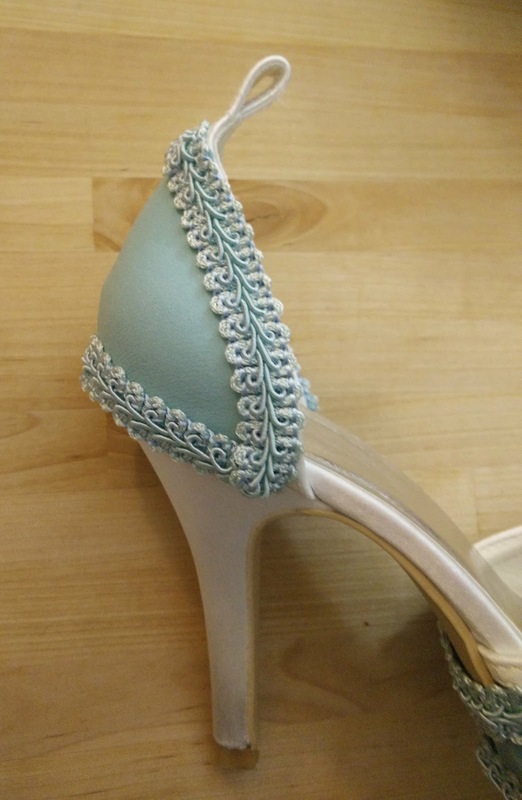 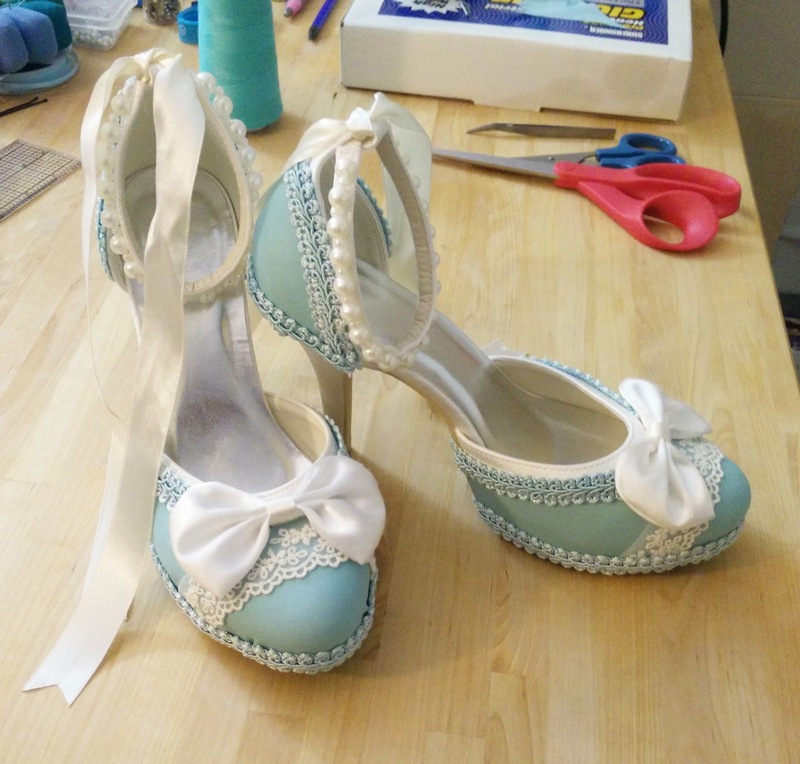 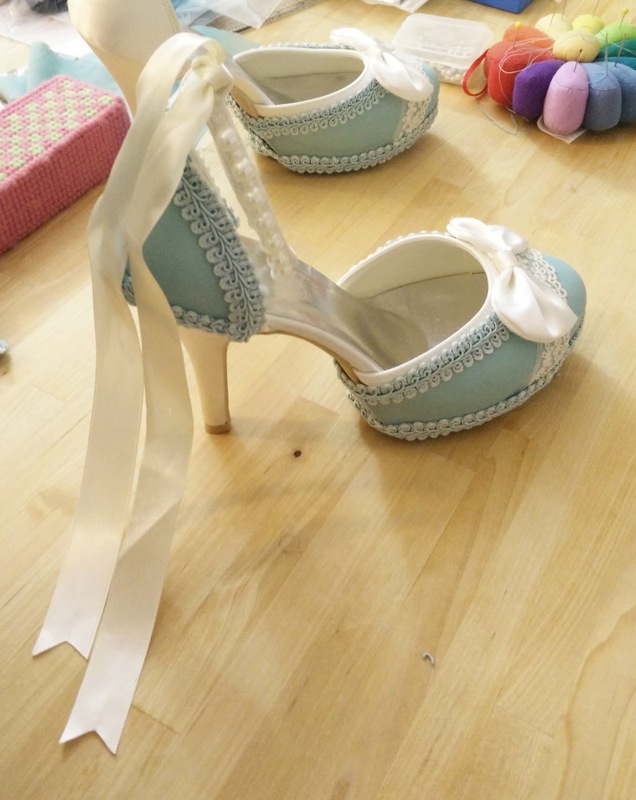 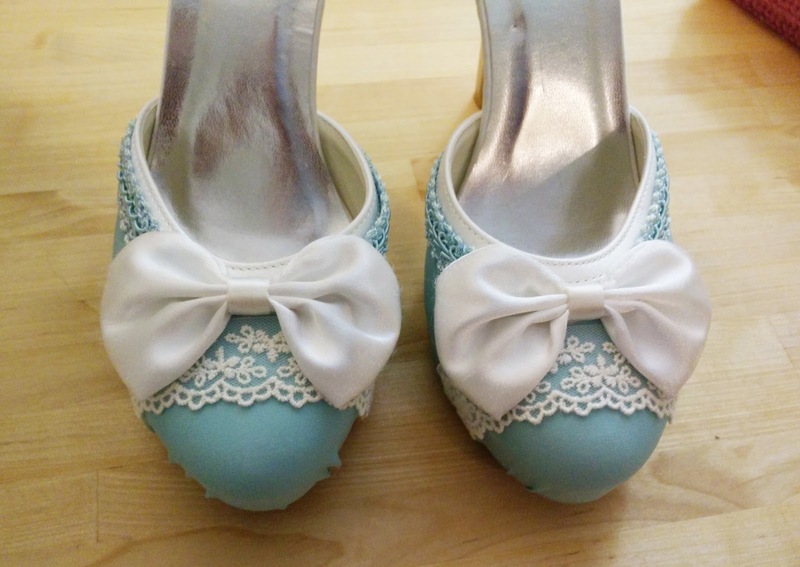 These were the shoes I wore at my wedding and I wasn't about to permanently change them. 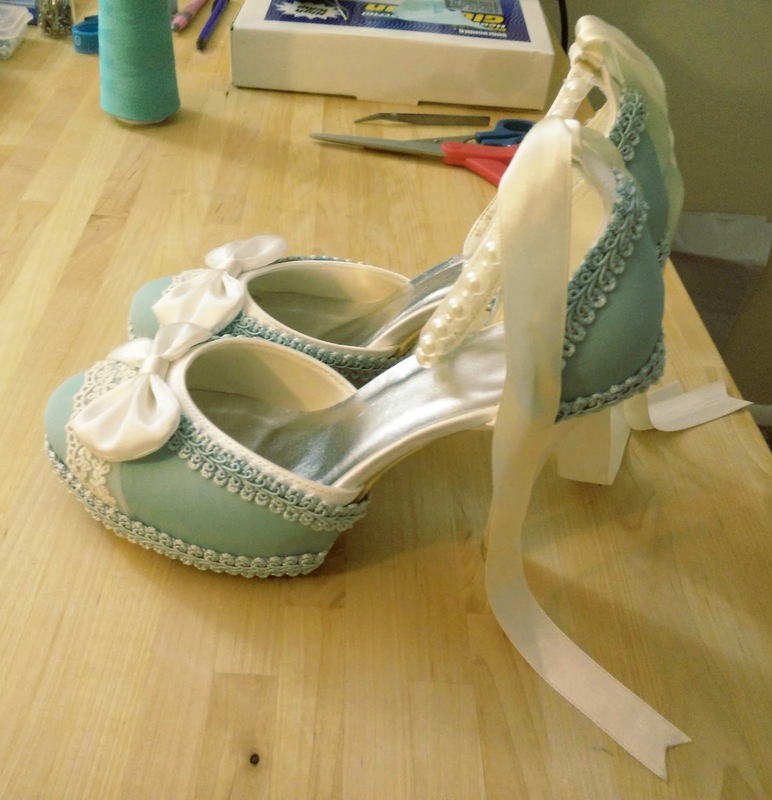 Step 1: Start off with designing what you want your shoe to look like. 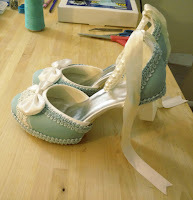 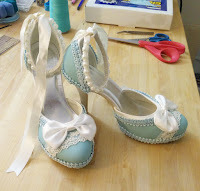 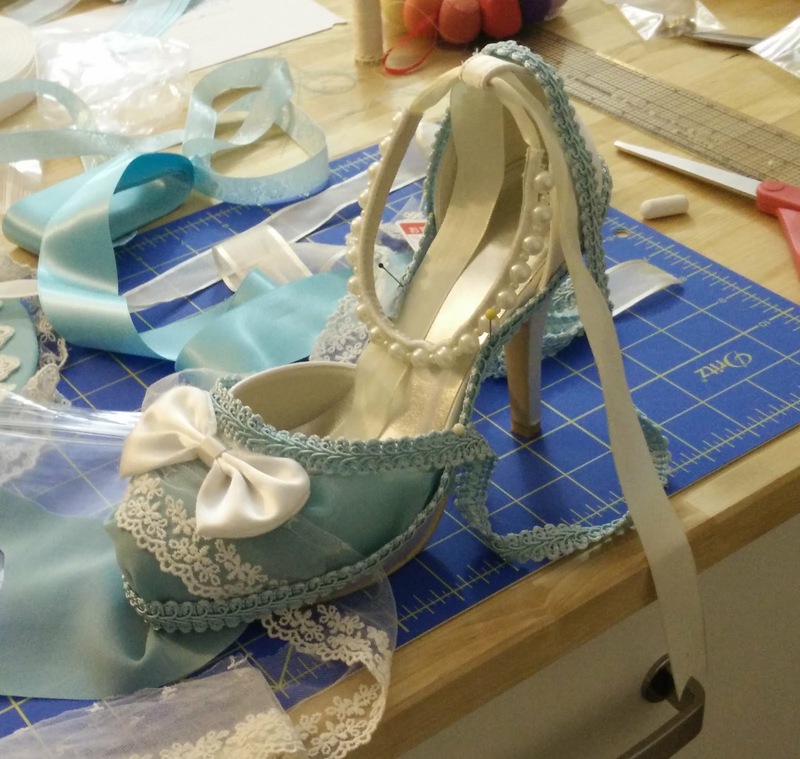 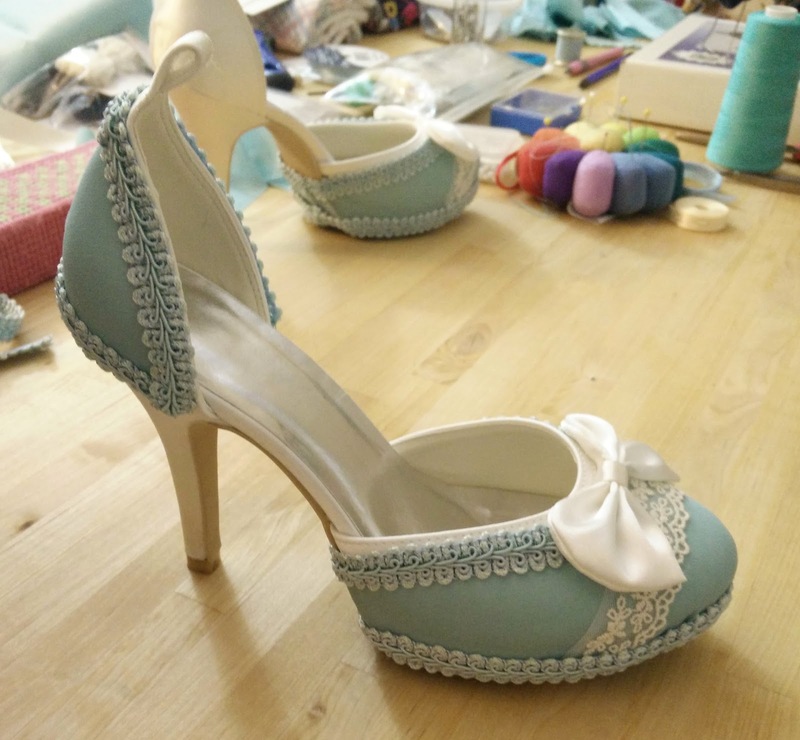 I did so by placing the materials onto my existing shoe and playing around with different trims and ideas. Step 2: Now that you have your design, start off by cutting out the fabric. I started with a large enough scrap piece and cut it to fit around the throat line of the toe box. Because I was using chiffon, I could gently ease the fabric into shape without creating visible seams around the toe box. Step 3: Place your fabric on the shoe and align the fabric to the edge of the throat line of the shoe. 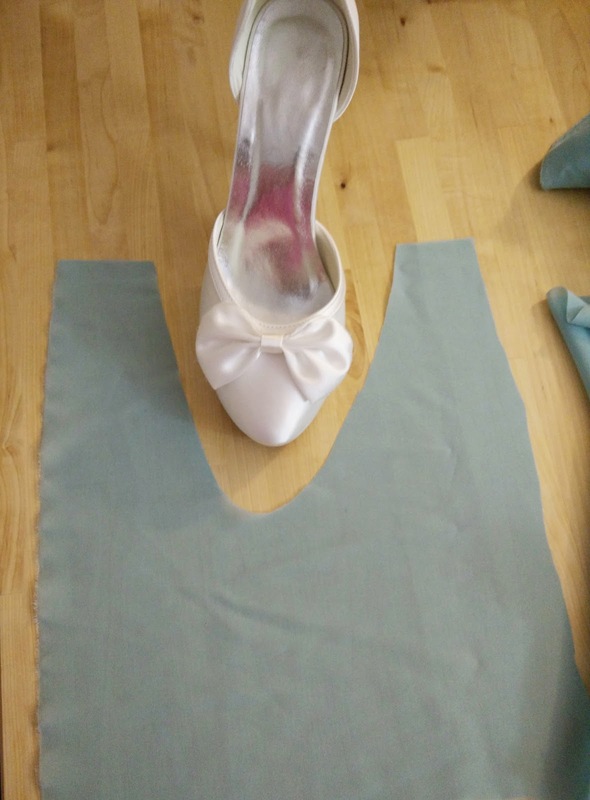 Step 4: Bring the fabric together at the back and pin to create the back seam. 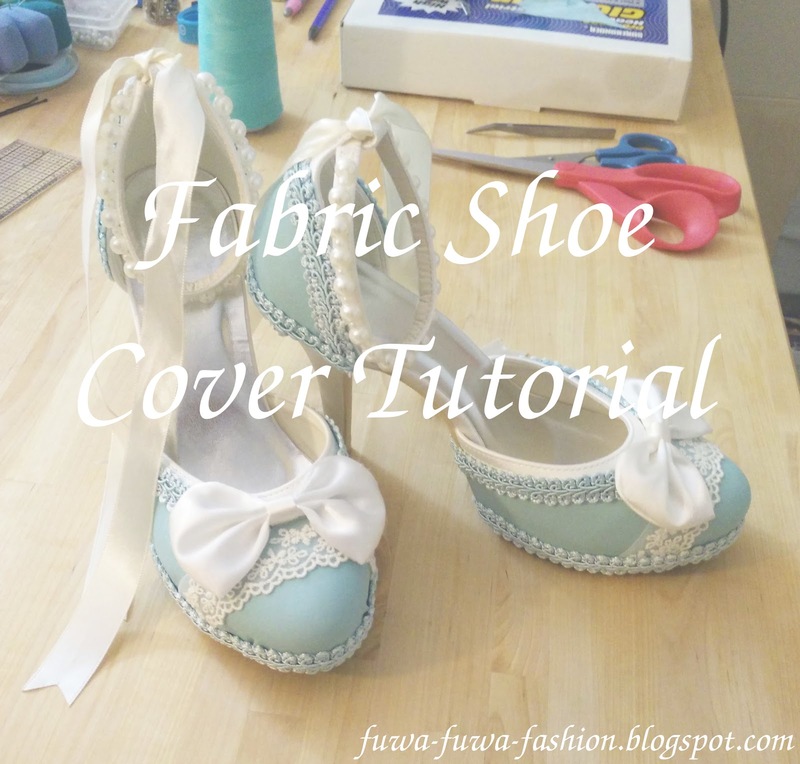 Slide the fabric off the shoe, sew it in place, and slide the fabric back on. 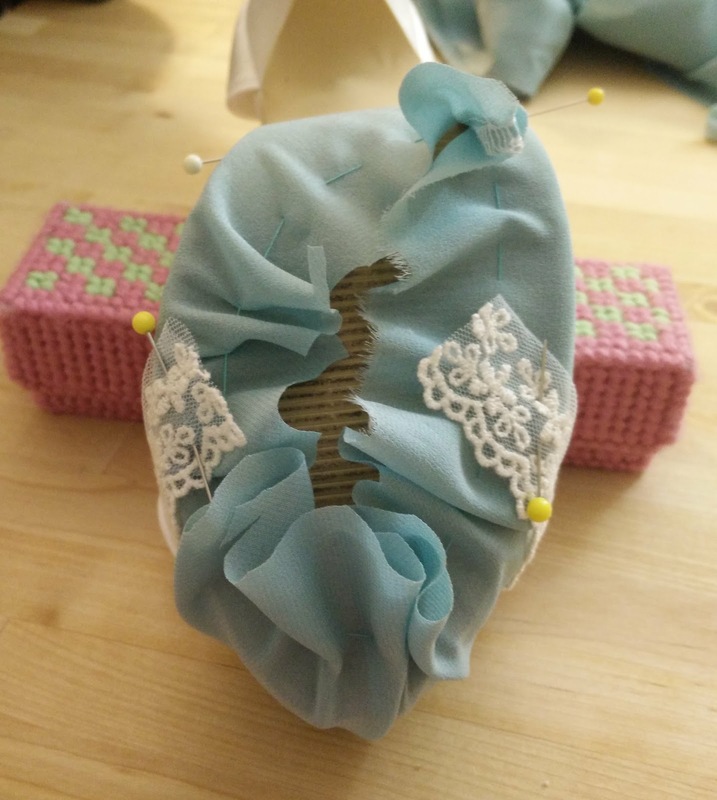 Step 5: Tack the fabric down with pins, preventing it from sliding around. 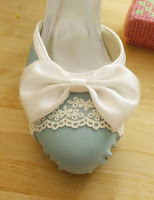 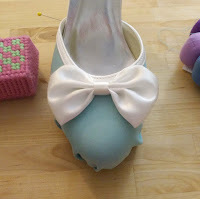 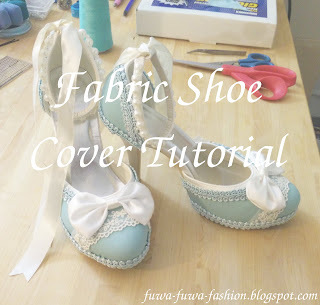 Create a gathering stitch on the sole of the shoe to hold the fabric in place and cut off any excess fabric. Step 6: Next, sew along the top throat line of the toe box securing the fabric to the upper portion of the toe box. 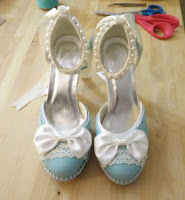 Step 7:Add your lace and cut to length. 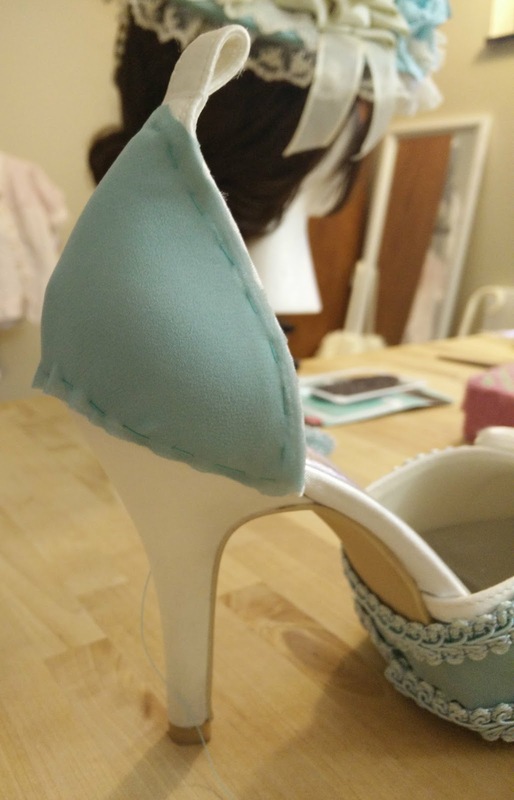 Pin it in place on the bottom of the shoe keeping it tight. 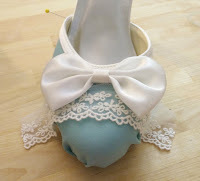 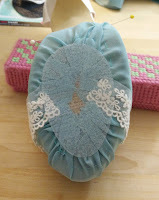 Step 8: Sew again around the perimeter of the sole gathering the fabric tightly and securing the lace. 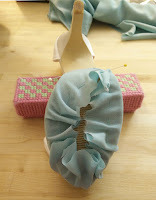 Step 9: Stick your shoe tread into place. 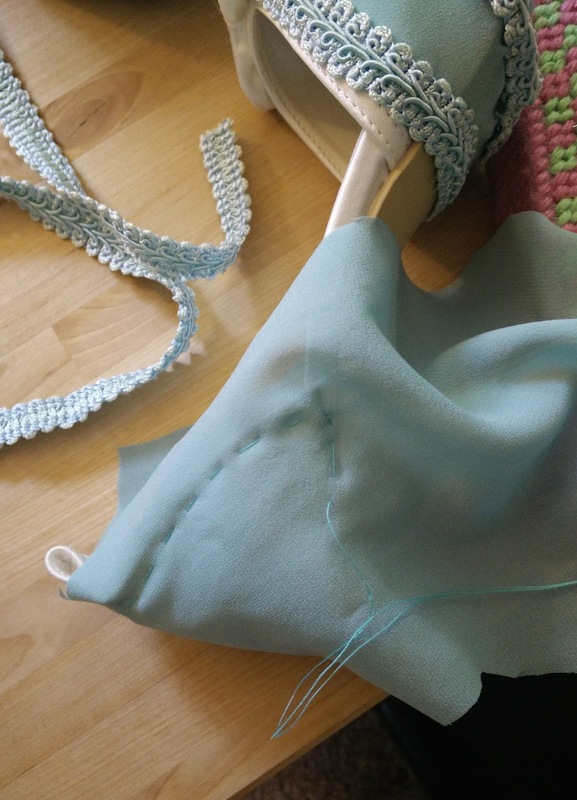 Step 10: Now you can begin to sew on the braiding. I placed braiding along the throat line (as pictured) and along the lower edge of the shoe. This also hides the edges of the fabric seam we created in the center sole (visible in Step 4). 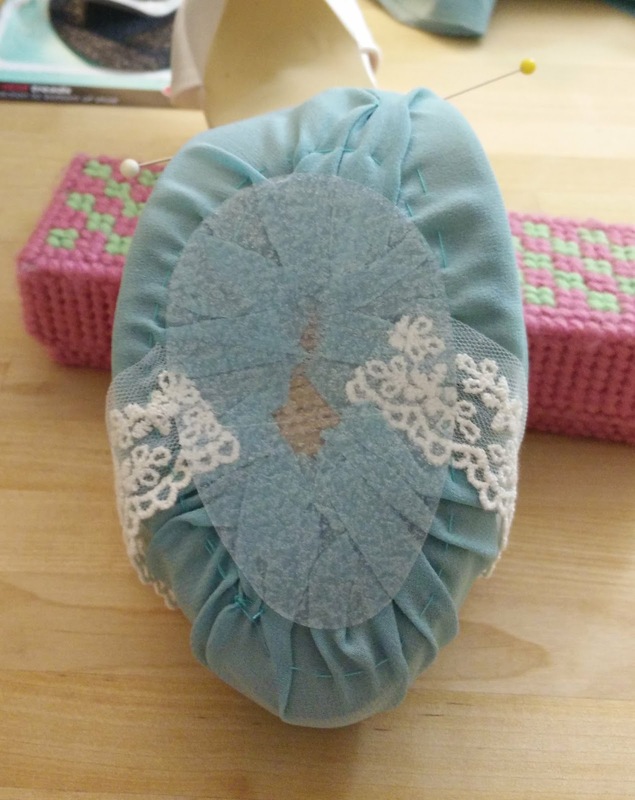 Step 11: Moving on to the back portion of the shoe, pin a piece of scrap fabric in place large enough to stretch over the entire area. 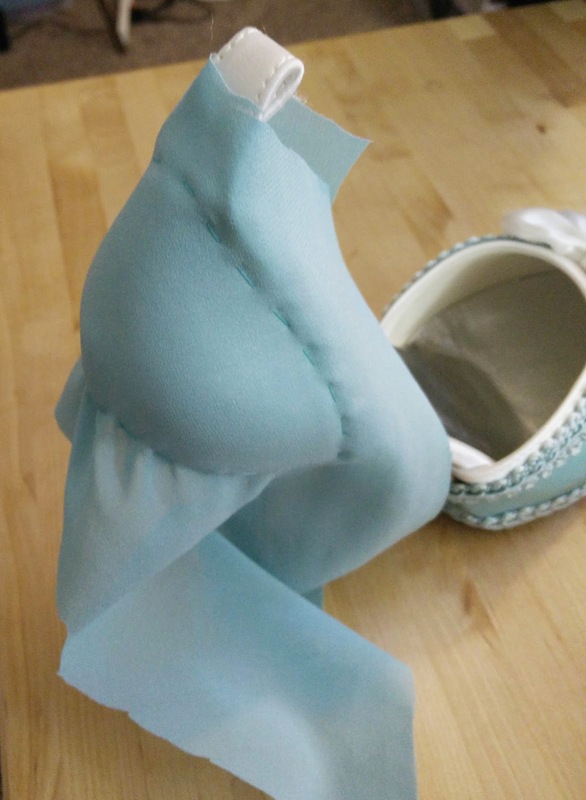 Step 12: Next, start sewing it into place, gently stretching the fabric so there are no bumps or ripples. 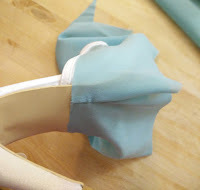 Step 13: Trim away the excess fabric. 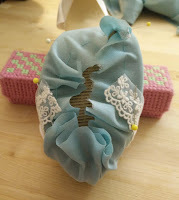 Step 14: Sew on the remaining braid trim.